KAMPALA– Parliament set tough conditions for the release of the two passports for the former Executive Director Supervision at Bank of Uganda, Justin Bagyenda threatening to hunt down for her in any part of the world, should she miss any probe hearing into closure of the seven defunct banks. The conditions were issued by MPs on the Committee of Commissions, Statutory Authorities and State Enterprises (COSASE) led by the Committee Chairperson, Abdu Katuntu who said that the Legislators won’t have a repeat of events that unfolded when Bagyenda flew out of the country midway the proceedings. It should be recalled that last week, Bagyenda wrote to the Committee asking to have her passports released to allow her fly out of the country to enjoy the Christmas festivities but the Committee delayed the ruling on grounds that Bagyenda first harmonises her holidays with the Committee schedule. 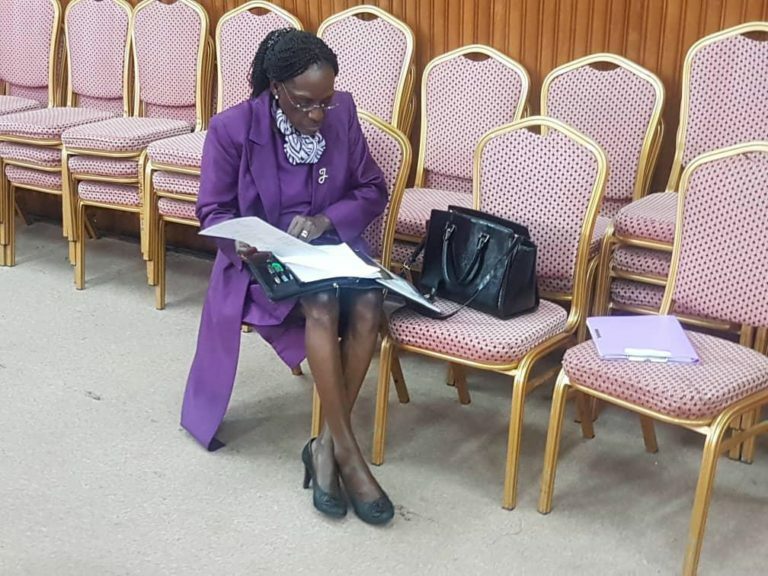 Early in December, COSASE confiscated Bagyenda’s passport and ordered her to deposit the travel documents with Parliament Police until investigations into the closure of the seven defunct banks is completed by the Committee after doubts arose on her commitment to attend the proceedings. As the Executive Director Supervision and also former Director Commercial banking, Bagyenda who has been at Bank of Uganda for about 35years is a key witness in the probe having overseen the closure of most of the banks between 1993-2016 and evidence before the Committee has shown that she negotiated the sale of Crane Bank, Global Trust Bank, National Bank of Commerce among others. With the Committee having completed its interface with Bank of Uganda officials, Katuntu revealed that the Committee will later meet with owners of closed banks and other interested parties. “We are now going to meet the former owners and directors of defunct banks, we shall also meet this company called SIL Investments and Kirkland during that process however as I talk, we have quite a number of letters from people who think they have some useful information to this process and we are going to give them opportunity to come and appear before us,” COSASE Chairperson said.